'Chilling Adventures of Sabrina' renewed by Netflix for season 3 and 4 – AiPT! Netflix has conjured up two more seasons for the supernatural horror hit. 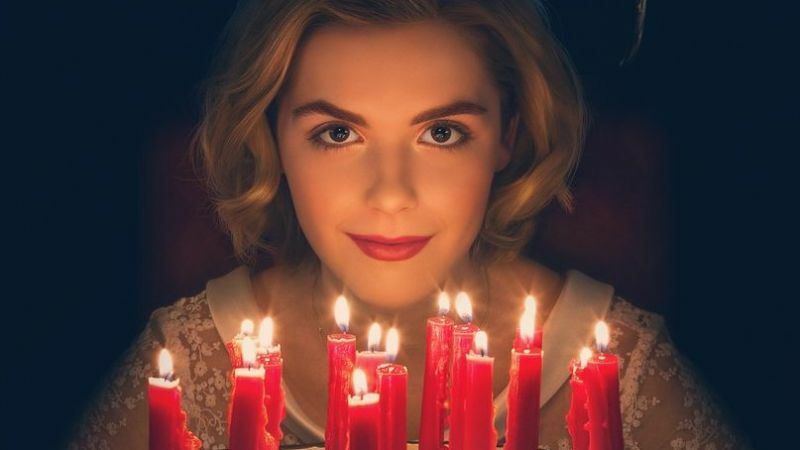 Netflix announced today that their hit supernatural horror series Chilling Adventures of Sabrina has been renewed for 16 more episodes spread across a third and fourth season. Production for the new seasons is set to begin next year. Sabrina’s fiercely protective shape shifting cat Salem helped spread the good news. The series is based on the Archie comic of the same name, but is a much darker adaptation than the kid friendly original. Satanic worship, dark magic, and blood thirsty monsters are in healthy supply as the half-mortal, half-witch Sabrina Spellman (Kiernan Shipka) navigates between the mortal world and witchcraft world. The first season of Sabrina and the holiday Christmas special, which was recently released on December 14, are both available to stream on Netflix now. Fans will have to wait until next year to get more of the series, when the second season is released in its entirety on April 5, 2019. And yes, while Shipka owns a black cat like Melissa Joan Hart before her, it isn’t an animatronic puppet cracking jokes.